The narrative of It’s a Wonderful Life concerns the grinding-down of a good man, to the point of utter despair. George Bailey (played with never-greater integrity by James Stewart) is a character of uncommon ambition and wanderlust: his many and varied plans and ambitions are consistent only in that they will take him far from his little hometown of Bedford Falls. And his ambitions are within his grasp. Frequently, a train, boat or plane, or a job or investment opportunity or place at college awaits, and there’s always someone on hand to assure George that no one will blame him for taking it. He is always free to choose his dreams. Yet George always chooses selflessly. The story of his life is a litany of frustration, his plans always deferred, each selfless act bringing fresh hardship and heightened frustration. Ultimately, George hits rock-bottom, and only the magic realist intervention of Clarence, his guardian angel, prevents his suicide. So why would I, or anyone, wish to be George Bailey? Well, after his trip with Clarence through a world in which he never existed, George attains a level of consciousness that is surely beyond the grasp of all but deities. There’s a philosophical ruthlessness to It’s a Wonderful Life that belies the film’s Christmassy reputation. 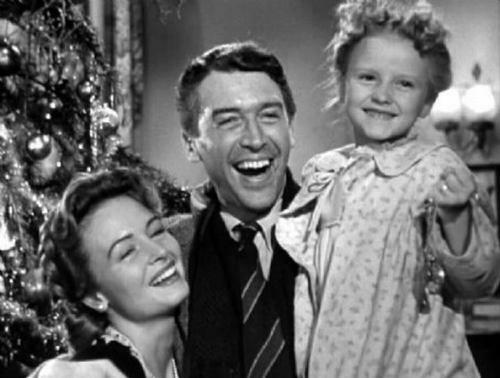 It’s an easy truism that doing the right thing is hard, but It’s a Wonderful Life dramatises just how hard. George is punished, not rewarded for his goodness, yet he never succumbs to cynicism. His dilemmas are ever more unforgiving, the price of character grows ever greater, the life he wishes for grows ever more remote; yet George always makes the hard (and right) choice. Can there be a more straightforward definition of morality? Of heroism? Of goodness? And who doesn’t want to be moral, to be a hero? To be good? After the Lockout is published by Fourth Estate.